purchase great gifts anytime I find a great deal. After all, being frugal is the name of my game! receiving... you really can't go wrong with a gift card! person who has everything, easy! triple dip on savings this week when they purchase multi-pack gift cards. about Safeway’s fuel rewards program click here. 1. $15 off – when you purchase $100 in multi-pack cards. 2. $3 off when you fill up your tank. (avg. $.17 off per gallon). 3. $2.55 off if you earn 3% back on your credit card grocery purchases. 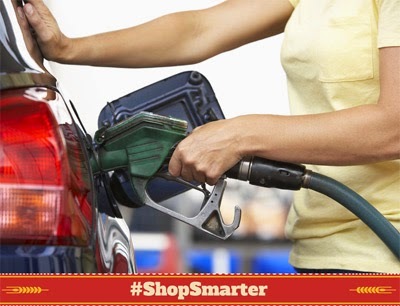 How do you #ShopSmarter and save? My family involves huge coffee drinkers. So my go to gift card are always Starbucks and Tim Hortons. I also like to get regular Visa and or American Express so they can use it wherever they like. I'm already thinking about Christmas shopping myself. Gift cards do make great gifts. I know I like to receive them. That was a good deal at Safeway. I don't shop there much though. Free Pizza at Pizza Hut! Disney Movie Rewards: 50 FREE Points!